iSlash is an addictive iPhone game to tune up your ninja senses. Your finger is your weapon. Swipe to slash and have fun! What a royal shame. 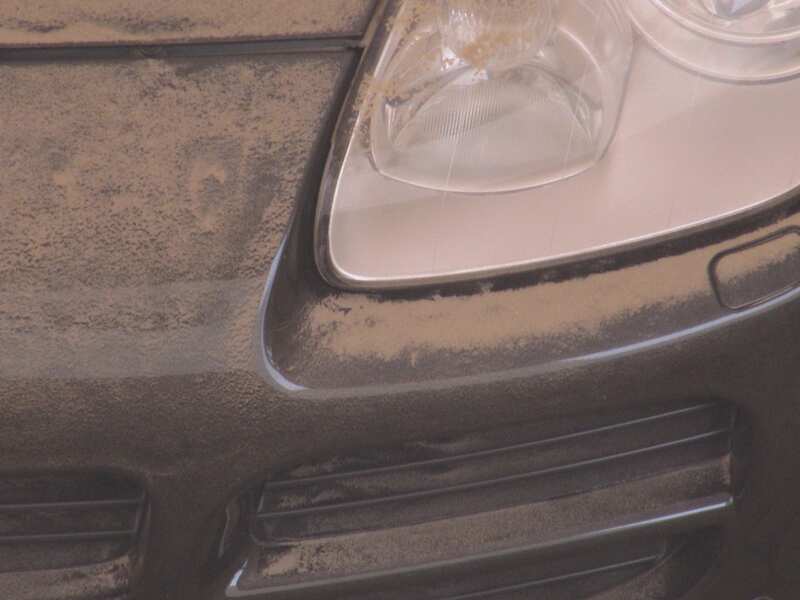 The day I decide to give my baby a good scrubbing is the day we get 40 km\hr dust winds. Look at my baby. There isn’t a trace of cleanliness anywhere on it. But seriously speaking. I am more interested in its interior cleanliness; seat washing, carpet shampooing, and all the rest of interior cleaning works. Well, I got the car back and it only cost me KD 20, which is a damn great price. 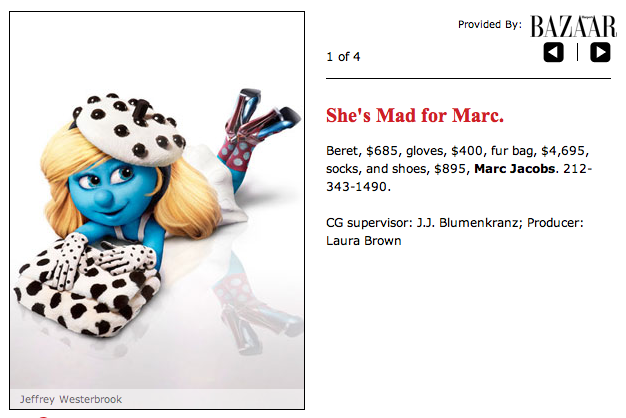 But hey, you get what you pay for. Ok, here’s what I like: The seats, the carpets, the dashboard, and the steering wheel are all polished and shiny and back to their original colors; especially the carpets and seats. The wax scratches on the exterior are now gone; the car has a faint, but beautiful, shiny body. I love the price and the fast friendly service. 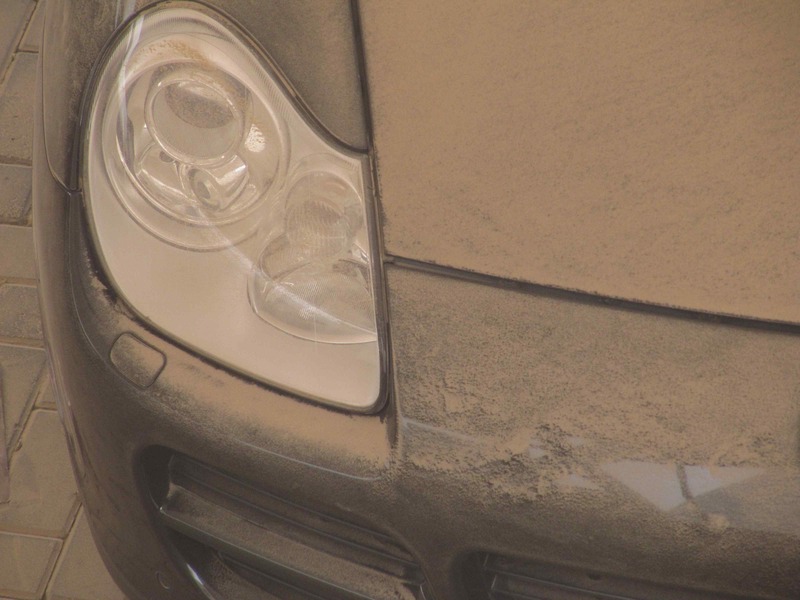 They even asked us to get the car back to them when the dust settles down, so that they could give it a good polish. Now here’s what I didn’t like: The seats, dashboard, steering wheel, and A\C vents are all greasy and shiny; they look like they’ve been oiled. And the car has a weird “air freshener” smell. For someone who hates perfume and only likes great quality dehen 3oud; I found the smell sickening. I’m going to need a couple of good clothes and a vacuum to get over those small negative stuff, and I’m hoping that the smell will fade away in a day or so. Sorry I couldn’t get any interior pics, the weather is just too damn dusty. I’ll update the post with interior pics once I get the chance to. I haven’t ever gotten any of my cars detailed before, like in terms of shampoo washed seats, carpet, etc…. 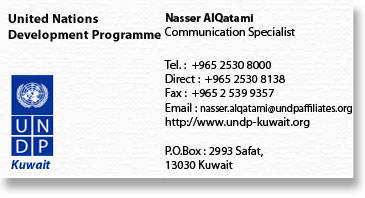 So I really don’t know if they do a good job here in Kuwait or not. Anyways, I felt that this particular car, which I fondly call my baby, needed a really good wash. I take her with me through torturous beach and desert adventures. So it’s no wonder that it needs a good scrubbing. A friend of mine took her to a washing station in Shuwaikh last night. I’m really nervous about the seat shampooing, because I don’t know if it’s going to negatively affect the leather when exposed to the hot Kuwaiti sun. I’m so scared that the leather will crack in the next few months, with Kuwait’s strenuous heat. Or that the carpets would smell of mold. I don’t know what to expect. I’ll let you know how it goes. The garage needs a whole day to clean it. 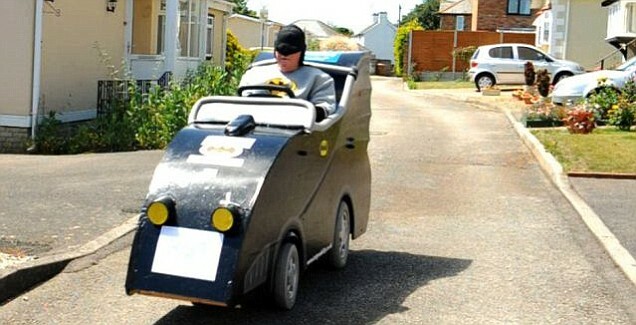 This 74 year-old grandfather spent weeks transforming his scooter into a Bat Mobile. Related: Want to buy the Real Bat Mobile? 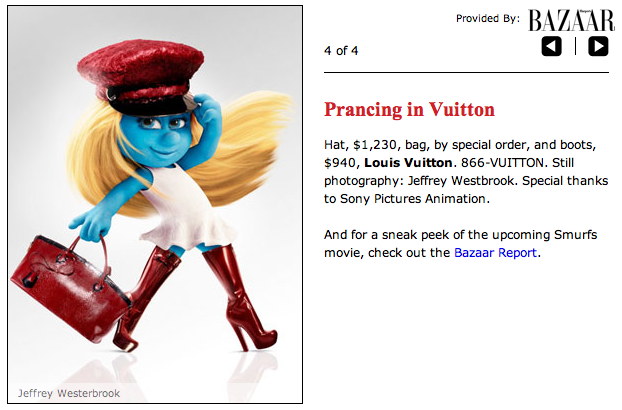 If I was Smurfette (lady of Smurfs), I would get to wear LV, D&G, Lanvin, and Marc Jacobs. 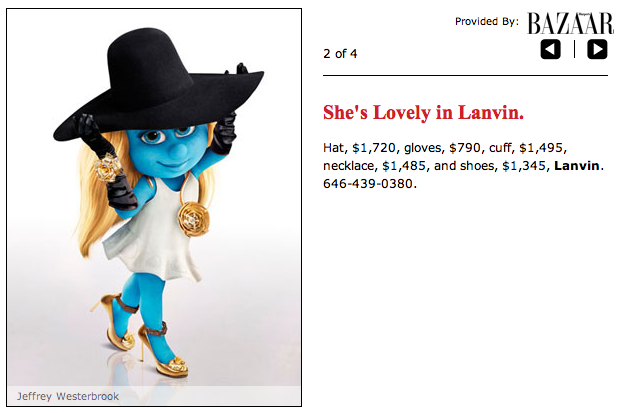 Checkout the Bazaar magazine of Lady Smurfette wearing couture. 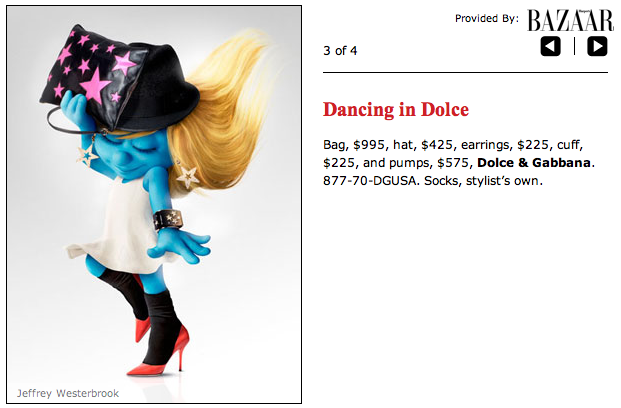 You can also checkout the new Smurfs movie’s trailer here, and their Spanish village here.